Yuanfang Guan is an associate professor of Computational Medicine and Bioinformatics. She got her B.S. from the University of Hong Kong, and her Ph.D. in Molecular Biology from Princeton University. Prof. Guan is interested in machine learning in biology and medicine. Her team has written the majority of the best-performing algorithms in DREAM challenges, the largest systems biology benchmark study. Prof. Guan was awarded the ‘Consistent Best Technical Performer’ for her groups achievements in the DREAM challenges and in recognition of the open source software that they have contributed to the bioinformatics field. She is one of the very few people globally who own multiple gold medals in the annual Data Science Bowl by Kaggle. Her team has written many award-winning deep learning methods. 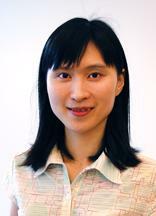 In traditional machine learning, she is the inventor of GuanRank, adaptive GPR and several other algorithms that are often used as the reference algorithms in benchmark studies/challenges.